The U.S. dollar was seen trading mixed on Friday with lack of any clear fundamentals moving the markets. The overall theme as well as the risk appetite was somewhat mixed. On the economic front, the Eurozone trade balance data released last week showed a moderate increase to 21 billion euro, up from 20.2 billion euro from the previous month. Germany’s final inflation data showed that consumer prices increased at a pace of 0.4% on the month. Looking ahead, the economic data is relatively quiet with only the retail sales data from the U.S. expected today. Core retail sales is expected to rise 0.2% on the month while headline retail sales are forecast to rise 0.4%, offsetting the 0.1% decline from the previous month. The news about the U.S. coalition forces strike over Syria is expected to create a standoff between the United States and Russia. This could potentially keep investors on the edge on escalating tensions between the two countries. 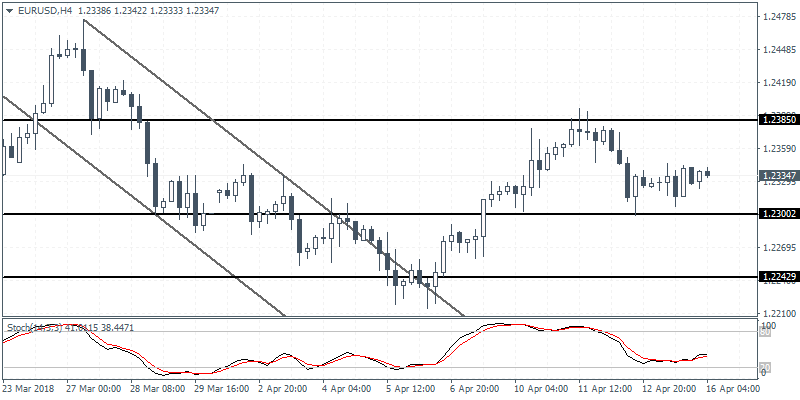 EURUSD (1.2334): The euro currency closed on Friday with price action subdued following last Thursday’s decline. 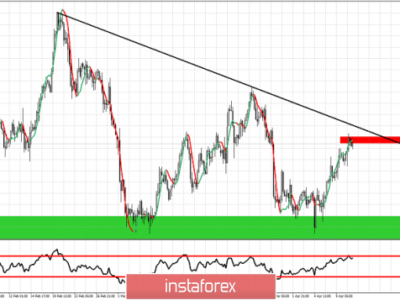 The currency pair briefly fell close to the lower support at 1.2300 before posting a modest rebound. 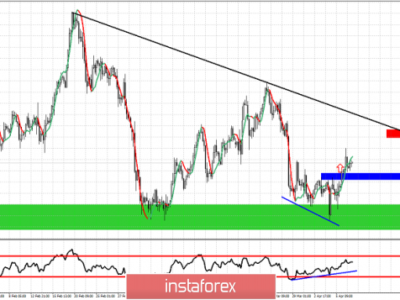 In the near term, the EURUSD is expected to remain supported above the 1.2300 level. However, a breakout to the downside below this level cannot be ruled out. 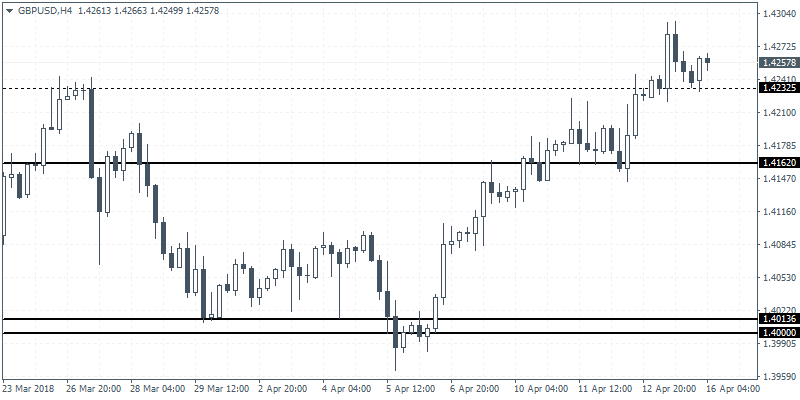 We expect to see the EURUSD eventually post the declines back to 1.2250 level where support is yet to be established. 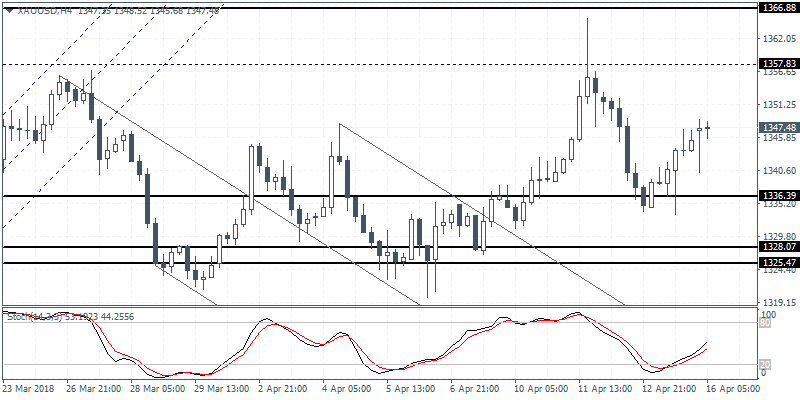 To the upside, the currency must clear the resistance level of 1.2385 to post further gains. 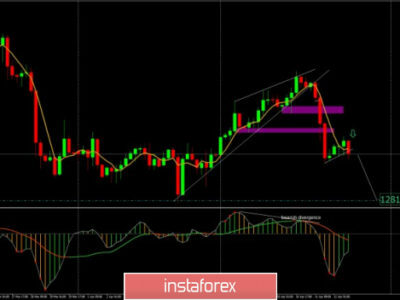 GBPUSD (1.4257): The British pound maintained gains from earlier this week, with GBPUSD trading above the previous highs formed at 1.4232. The retest of this level suggests a short-term consolidation at this level. 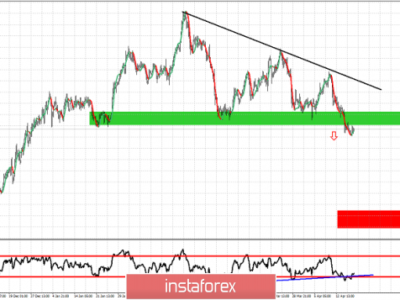 If this level holds, GBPUSD could be seen posting further gains. Alternately, a breakdown below 1.4232 could signal a sharper correction back toward the 1.4162 level where support could once again be tested. 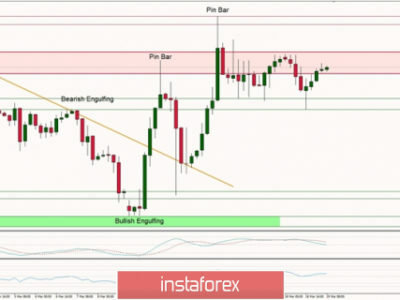 The overall bias in GBPUSD remains to the upside for the moment with the bounce of the support level likely to see price push higher in the short term. 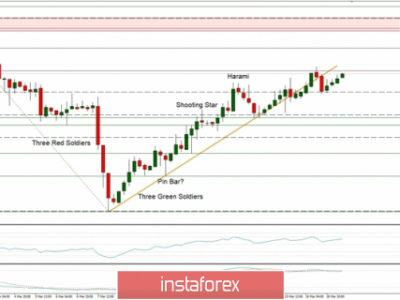 XAUUSD (1347.48): Gold prices managed to rebound from 1336 level after the precious metal gave up the gains initially from 1357 level. 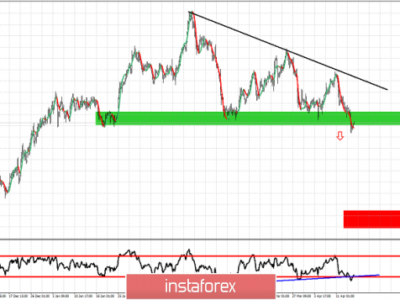 The sideways range could be maintained within these levels in the near term with the likelihood that gold prices could once again test the support at 1336 level to establish firm support. 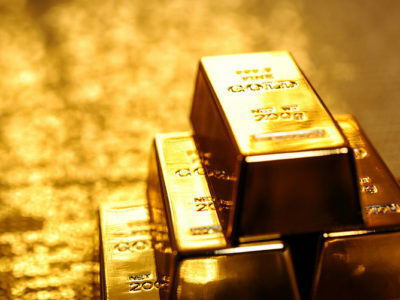 In the near term, we expect gold prices to move sideways with a breakout from the established support and resistance level likely to provide the next leg in the direction of the trend. Orbex releases technical and fundamental analysis throughout the day. Visit our website by clicking here for more.